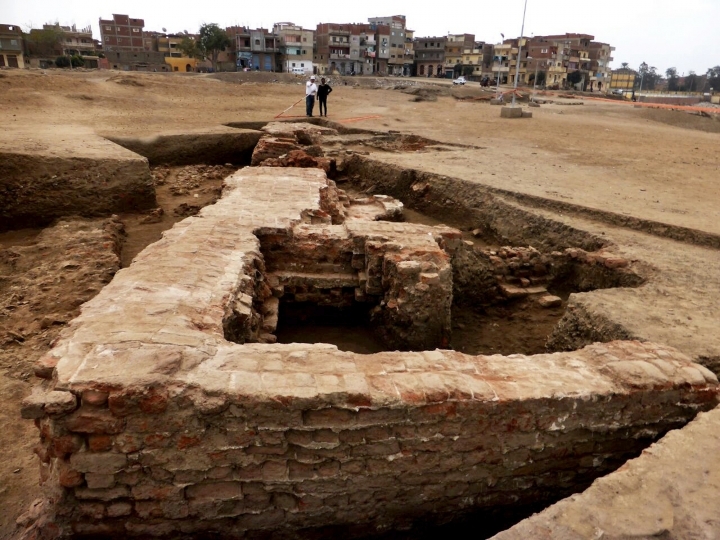 CAIRO — Egyptian archaeologists say they have discovered parts of a huge red brick building dating back to the Greco-Roman period north of Cairo. The Antiquities Ministry says Wednesday the building was found in the Sa El-Hagar archaeological site in Gharbia province. It says archaeologists found a gold coin depicting King Ptolemy III, who ruled Egypt in the 3rd century B.C. and was an ancestor of the famed Cleopatra. It says the coin was made during the reign of King Ptolemy IV in memory of his father. The ministry says archaeologists have unearthed other artifacts in the area, including pottery vessels, terracotta statues, bronze tools and a small statue of a ram.